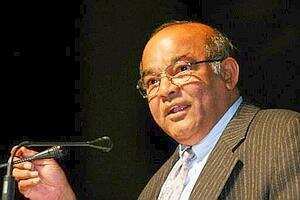 Close vigil: Reserve Bank of India governor Yaga Venugopal Reddy. The Reserve Bank of India on Friday released draft guidelines that hopes to rein in loan recovery agents after several incidents that caused bad press for the high-handed tactics used by these agents. The central bank has invited comments on the guidelines and has given a month’s time to the public and banks to come back with inputs. RBI officials said banks and lenders could face serious consequences if found in violation of the guidelines once they were finalized. In addition, banks and lenders could be banned from using recovery agents for a limited period or more in case of non-compliance. Loan recovery methods used by agents of banks have come under the microscope over the past couple of months, after a customer of ICICI Bank Ltd committed suicide in the aftermath of being harassed by recovery agents. Consumer activists have voiced concerns over the issue and accused the big, private banks of using questionable tactics while trying to recover loans. Private sector banks are being cautious. When asked to comment on the draft guidelines, an official of a large Mumbai-based private sector bank said he did not want to be quoted in the media for fear of antagonizing RBI. He said he wants to directly express his views to the banking regulator. A foreign bank official, who did not wish to be identified, said the bank he works for already has strict guidelines in place and supported the proposed RBI guidelines. Banks have been advised by RBI to conduct due diligence before hiring loan recovery agents, whether they are brought on board individually or through an agency. In addition, RBI has said the bank customer or borrower must know the recovery agents who would be involved in case of default. Information about the agents, including their telephone numbers should be made available to the borrowers, and “recovery agents should call the borrowers only from telephone numbers notified to the borrower," the draft guidelines said. RBI has also noted that banks set “stiff recovery targets" for agents that forces many such representatives to adopt “intimidatory and questionable methods for recovery." The central bank has asked banks to ensure that their agents “do not induce adoption of uncivilized, unlawful and questionable behaviour or recovery processes." RBI said it is the bank’s responsibility to ensure that loan recovery efforts, which causes “harassment or humiliation" to the borrower or the borrower’s family, should be avoided. In order to ensure that recovery agents handle cases with sensitivity and care, RBI has requested the Indian Banks’ Association to formulate, in consultation with the Indian Institute of Banking and Finance, a certificate course for outsourced agents employed by banks, such as direct sales agents , direct marketing agents and recovery agents. Once this course is in place, banks would have to ensure that all their agents obtain certification within a year’s time. In case of repossession of property, moveable and immovable, banks have been advised by RBI to initiate legal action, instead of strong-arming borrowers. RBI recovery rules cover homes, automobiles or consumer durables. The apex bank also has recommended seeking the help of Lok Adalats, formed by civil courts for recovery of loans under Rs10 lakh. “Banks are advised that they should preferably use the forum of Lok Adalats for the recovery of personal loans, credit card loans or housing loans, which are less than Rs10 lakh," RBI recommended in its tentative draft guidelines.